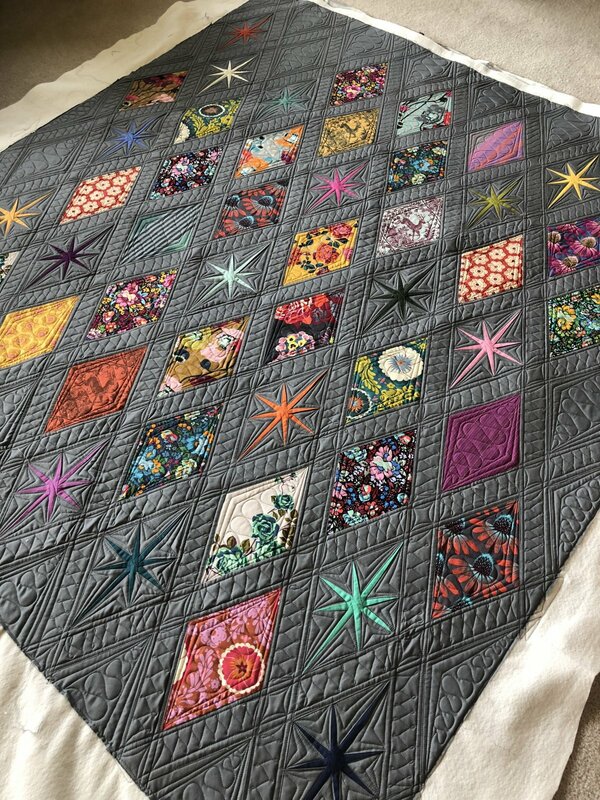 Kits > Atomic Starburst Quilt Kit Anna Maria Horner 62" x 66 "
Atomic Starburst Quilt Kit Anna Maria Horner 62" x 66 "
Kit includes fabrics and Violet Craft Atomic Starburst pattern to complete this divine quilt in Anna Maria Horner, solid stars and grey background as shown. Includes binding. Does not include backing.